You may receive updates from Green Party of Utah, the sponsor of this petition. Pando Aspen Grove is 106 acres on the southwest bank of Fish Lake in Sevier County, Utah. A single root system unites this forest and it is the "single most massive living organism known on earth." It is under dire threat and faces extinction for many reasons. We call on our State Legislature to take action now in order to preserve a Utah treasure and natural resource. We believe that the time is now to preserve Pando. We ask that you sign this petition and share it with everyone you know to help educate them on what will be lost if Pando does not survive. We believe that the Utah Legislature and Governor are equipped to protect this tree if they act now. We call on them to take the necessary actions in consultation with forestry and wildlife experts including the United States Forest Service. We believe that the Utah Legislature should declare Pando Apsen Grove a Utah treasure and act immediately to preserve and protect it for future generations through appropriate local funding and work with the federal government to ensure that this resource is appropriately managed. 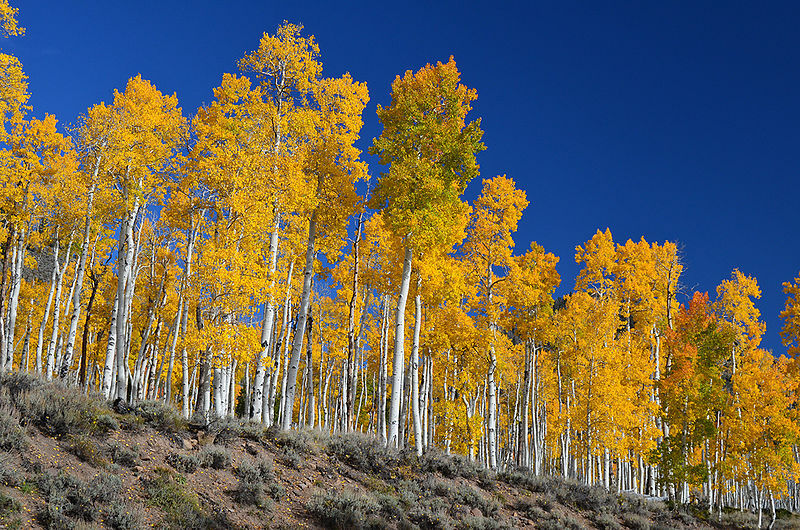 We believe that our congressional delegation should take immediate steps to ensure the survival of Pando Aspen by making it a priority in their legislative agendas. Please join us in calling on the Utah Legislature, Governor and congressional delegation to act now so that Pando Aspen will be around for future generations to appreciate. We believe that the Utah Legislature should declare Pando Apsen Grove a Utah treasure and act immediately to preserve and protect it for future generations by working with the federal government to ensure that this resource is appropriately managed and protected. Please join us in calling on the Utah Legislature, Governor and Utah's congressional delegation to act now so that Pando Aspen will be around for future generations to appreciate.